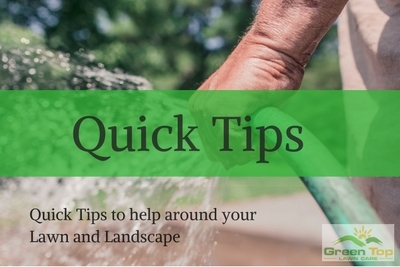 Green Top Lawn Care > Lawn FAQ > Do You Really Need Weed Control? Lawn Weeds Are Never A Good Thing! There isn’t a homeowner who hasn’t looked with envy at the lush, green, weed-free lawn on a golf course and thought, “If only my grass looked like that!” In the next moment, most people dismiss the idea. They can compare their lawn with the pristine one at the country club, complete with dandelions and crabgrass. Invasive weeds are a reality for most people who have yards. They fight the good fight for several years before deciding to grin and bear it. After all, a few weeds are inevitable, right? Getting control over the situation requires too much time and money. No one wants to spend their free time trying to eradicate weeds from their turf. However, achieving that beautiful, weed-free lawn is easier than most people think. With professional lawn maintenance, your grass can look just as manicured as what you see on the golf course. Even better, these services cost less than you think. While you may have all but given up on having a weed-free lawn, there are excellent reasons to hire someone to take care of the situation for you. Left alone, that weed situation is only going to get worse. Weeds are frighteningly hardy and able to survive all kinds of weather conditions. What’s more, they spread with alarming speed. As soon as one appears, it often seems like a dozen more pop up overnight. Usually, this happens because the lawn is being poorly maintained. Maybe it isn’t getting the fertilization it needs or isn’t receiving adequate water. Some lawns become susceptible to weeds because of bad mowing practices. Poor air circulation and excessive thatch can also be problems. The bottom line is that a well-maintained lawn that is vigorous and healthy just doesn’t have room to let weeds take control. If you hire someone to take care of lawn maintenance for you, then weeds may never become a big problem in your yard. It’s important to have realistic expectations when it comes to weeds. The occasional weed is an unfortunate inevitability. They will spring up, but with proper lawn maintenance techniques, they can quickly be nipped in the bud before they turn into a large, unsightly patch of dandelions. It’s also vital to keep on top of the weed situation to minimize the use of chemicals on your lawn. When weeds become pervasive, they are tough to get rid of. Chemical weed killers may be the right answer for the situation, but those products come with health and environmental concerns. It’s advisable to use them sparingly, which is why it makes sense to catch weed invaders early before they have a chance to multiply. If you have a weed management problem or are afraid that your lawn may be susceptible to weeds, the time to start working on it is now with the help of professional lawn maintenance. Your turf pro can help you get a handle on weeds before they take over your yard. They can identify the specific weeds that are appearing in your lawn and suggest various strategies for controlling them. This may include beginning to use proper mowing techniques and changing how your lawn gets watered. Your technician may also suggest the application of an appropriate fertilizer and over-seeding to enhance your turf. Having a weed or two pop up in your lawn is inevitable. 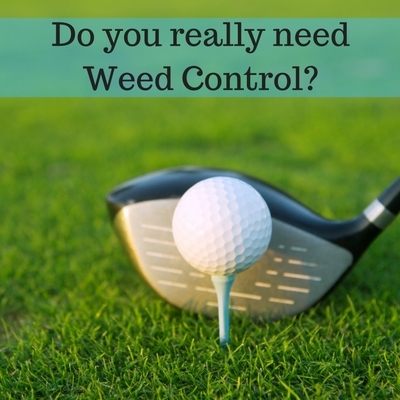 However, there’s no reason why you should surrender control of your turf to a weed invasion. You can gain the upper hand with weed management practices that your lawn care expert can do for you.